All I can say about this quote is AMEN! If you don't follow me on facebook, check out my fan page to see my personalized computer backgrounds! 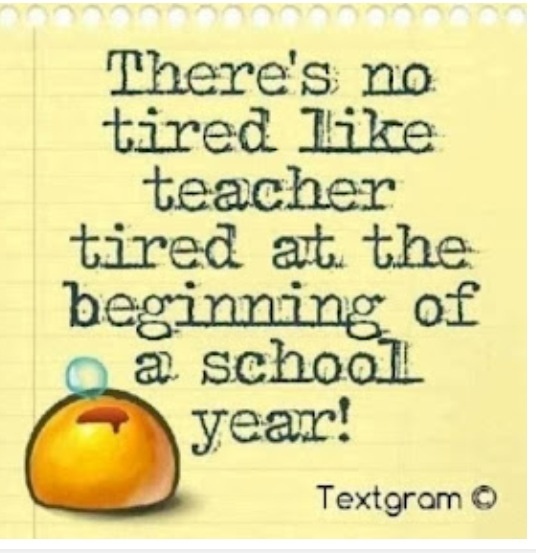 I want to share a couple back to school freebies with you. This first one isn't mine, but my kiddos loved it! Kathy over at First Grade a la Carte shared a couple of these puzzles a few weeks ago. Click the link *here* to go to her blog to download it. She also came out with a whole pack of puzzles if you want to purchase more! The kiddos cut out the capital letters and then matched them to the lower case letters....really tells you a lot about what they know on the first day of school. 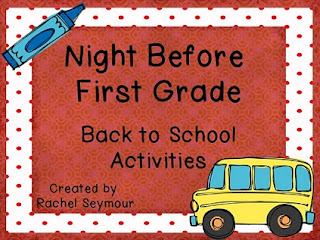 We also read The Night Before First Grade by Natasha Wing and used my Night Before First Grade- Back to School Pack. I love her drawing of my curly hair...looks just like me! And my color 'wheel' is actually a guitar so her picture is very accurate!! Sorry it's sideways, but it was so cute I had to share! If you click *here* you can download this page for free. Night! Have a great week!